Slender erect green culms that when exposed at base will reveal long green internodes that turn yellow when in contact with the sun. Gracilis is a very popular variety and for good reason. 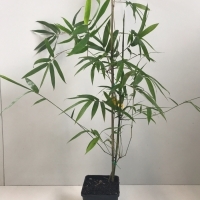 Its growth rate is rapid and can handle almost any growing conditions and soil types and still look spectacular. 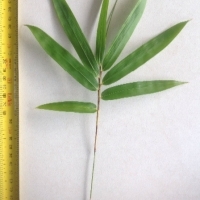 Also known as Slender Weaver Bamboo it has dense evergreen foliage that can be left low to the ground or pruned away to show of its many culms. Gracilis is a non-invasive tight clumper that can easily grow in a narrow boxed garden bed. The fresh new shoots are edible. 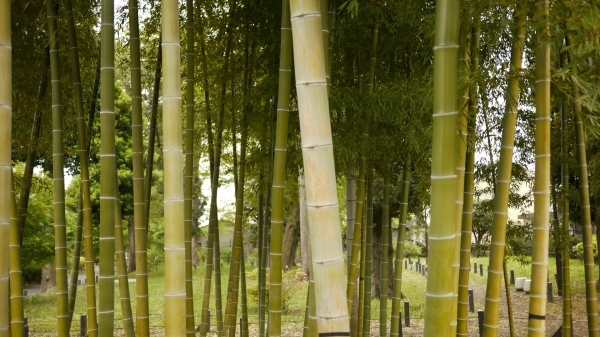 Culms can be split in long lengths, are strong and thin walled making them ideal for use in handcrafts such as basket weaving, furniture making, and musical instruments to name a few.